Decks are a great extension of your existing space. They provide an attractive outdoor area for entertaining friends and family and can also be a space when you need some personal time to escape. 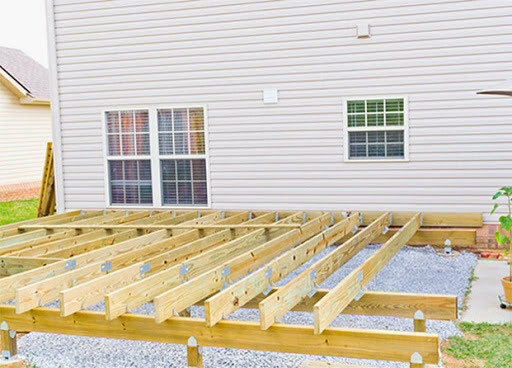 Building a deck does not have to be a daunting task. With careful planning, the project can be accomplished within the set timeline and budget. 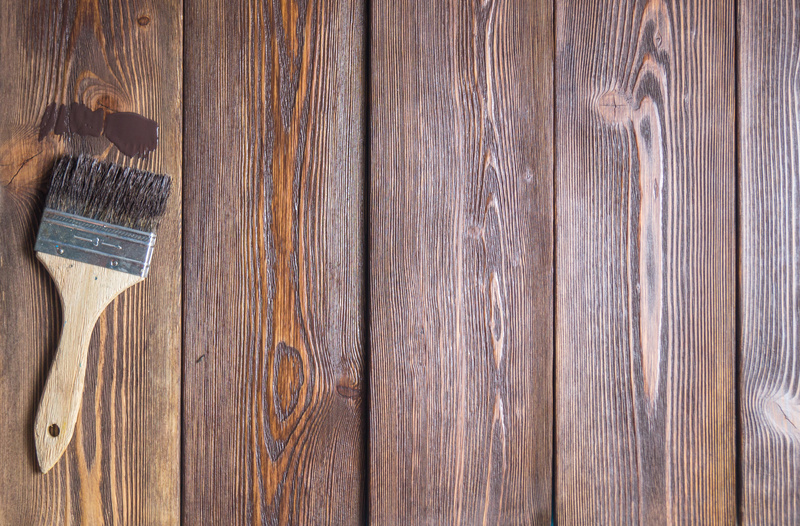 Allow wood to dry thoroughly before applying a finish (stain or paint) or sealer to prevent peeling, flaking or blistering from poor adhesion and/or mold development under the coating. Wood should be allowed to dry until it will absorb water, typically around 60 days (potentially longer for wetter climates). 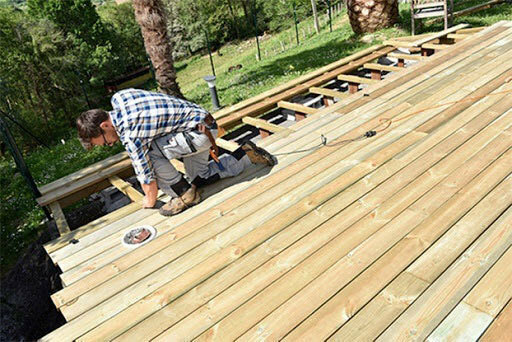 Left unstained, wood decking will eventually fade to a gray appearance and damage to wood fibers may occur from UV rays. Ensure surface is clean and dry to prevent poor bonding/penetration of finishing products. Use high-quality stains and paints that are specifically intended for your specific application to help minimize fading and reduce the likelihood of fabric / skin / footwear discoloration. Use Ecolife for above ground treated wood that is six inches or more of the ground. Ideal for decking, railing, joists and beams. 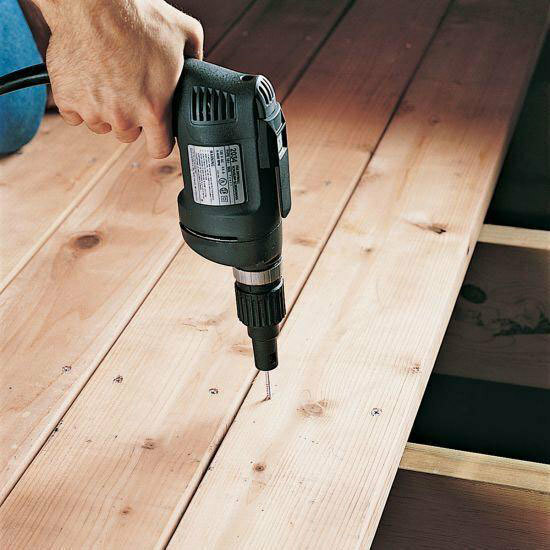 Use Preserve for ground contact treated wood, ideal for posts in or on the ground, stair stringers and any treated wood use that would be hard to repair or replace. Pressure-treated wood has chemicals impregnated deep into the fibers. They should always be handled properly to ensure safety. Follow the safe practices listed below when working with pressure-treated wood. Specific work practices may vary depending on the environment and safety requirements of individual jobs. Wear a dust mask and goggles when cutting or sanding wood. Wash hands thoroughly with mild soap and water after working with treated wood. Pressure-treated wood should not be used where it may come into direct or indirect contact with drinking water, except for uses involving incidental contact such as fresh-water docks and bridges. Do not use pressure-treated wood in circumstances where the preservative may become a component of food, animal feed or beehives. Do not use pressure-treated wood for mulch. *Pressure-treated wood may be disposed of in landfills or burned in commercial or industrial incinerators or boilers in accordance with federal, state and local regulations.